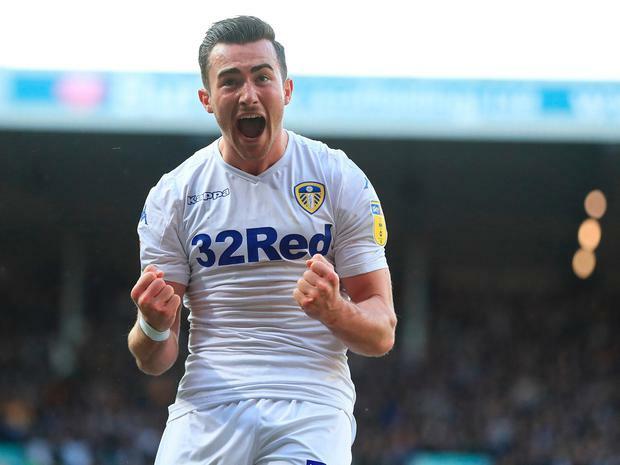 Leeds United's Jack Harrison celebrates scoring the first goal during the Sky Bet Championship match at Elland Road, Leeds. Mike Egerton/PA Wire. Gary Hooper could only hit the side-netting before Adam Reach had a shot blocked minutes later as Kiko Casilla failed to deal with Barry Bannan's free-kick. Casilla pushed Bannan's curling effort around the post with a brilliant one-handed save in the 25th minute. Hooper cleared Luke Ayling's shot off the line from the resulting corner, before Pablo Hernandez headed over. And it finally came when Harrison clinically put away Hernandez's pass after 65 minutes.